I have SO many weddings to post. It's been an epic, beautiful, record year! Style Me Pretty featured Stacy and Christoph's lovely Cornerstone Gardens wedding a few months back. The feature is here: http://www.stylemepretty.com/2011/09/20/sonoma-wedding-by-jessamyn-harris/ and more images from this wedding, and many more, will be coming soon! Kier and Will, coming soon! 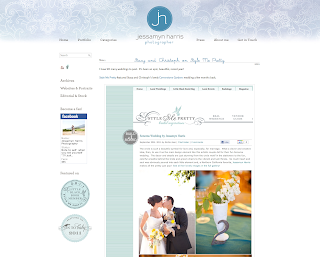 I loved shooting this wedding at Healdsburg Country Gardens with Jess Flood Events! Lots of photos coming soon... from Kier and Will's as well as many, many more. Wedding season is slowing down, so I can finally catch up with editing! This little girl and her bunny-lovey just woke up from a nice nap. Look at that sweet coy smile! She made all of these faces in the span of about 2 minutes after getting up from her blessedly long nap. Nothing like those breaks to get a nice chance to miss her! Even if sometimes I do watch the slideshow over and over again while she's sleeping... It's like a cuteness sickness/ addiction. I love her because she is so expressive, goofy, wife, talkative, sweet, willful, independent, curious, affectionate, smart, and beautiful. It's hard to find time and free hands to photograph her - but even harder not to, you know? And here's a video of her when she was much tinier but still had a zillion faces going! Angie and Tom are getting married on Sunday! I can't wait for their beautiful wedding at Nestldown... There are going to be some fabulously unique elements and surprises for everyone. I'll be ready! We started at a playground in the Marina - swings, slides, climbing structures, and a kids' Golden Gate Bridge! Then over to Crissy Field, which I am adoring lately for shoots. The only problem is that I start longing for a family fun day there... gotta get one of those on the calendar soon! These two are so into each other, and I know they'll have a wonderful time at their wedding after much planning fun. They.Are.Excited! !